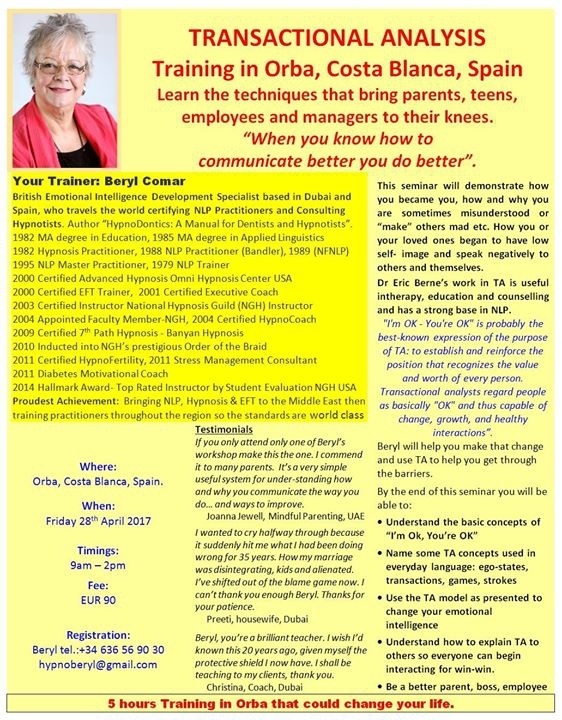 This seminar will demonstrate how you became you, how and why you are sometimes misunderstood or “make” others mad etc. How you or your loved ones began to have low self- image and speak negatively to others and themselves. Dr Eric Berne’s work in TA is useful in therapy, education and counselling and has a strong base in NLP. Beryl will help you make that change and use TA to help you get through the barriers. • Understand how to explain TA to others so everyone can begin interacting for win-win.